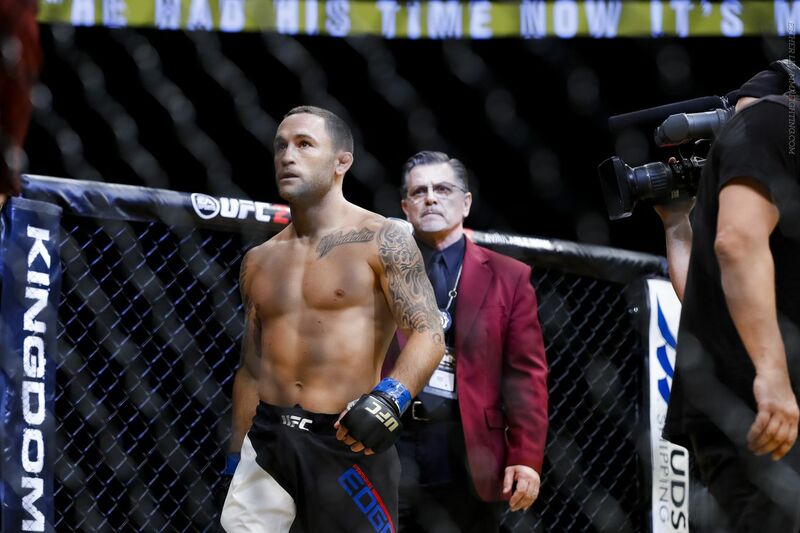 Home MMA News Fightweets: Where does Frankie Edgar go from here? Fightweets: Where does Frankie Edgar go from here? The UFC swings back into action Saturday with UFC on FOX 20 in Chicago. But we’re still wading through the aftermath of all the monumental news made in the first half of this month, so let’s take a crack at everything from the latest USADA-related news to Frankie Edgar’s future after his loss to Jose Aldo Jr.
@joaovxavier: Should Frankie Edgar be headed to bantamweight? I’m glad you asked this, because the plight of the former UFC lightweight champion in the wake of his UFC 200 loss to Jose Aldo Jr. was one of the more relevant topics which got drowned in the tsunami of major news items coming out of International Fight Week. Fortunately, Aldo saw fit to bring Frankie back into the news this week, when he did that Jose Aldo thing where he makes an outrageous statement to the Brazilian media, then, after it becomes a big news item, he claims either he was somehow mistranslated by his fellow Portuguese speakers or that he was just kidding (and anyway, did Aldo really need a spy to know that Edgar was going to use Aldo’s kicks to set up his takedown attempts?). Now that we’re talking Aldo-Edgar again, let’s loop back to what their UFC 200 fight means: Where does Frankie go from here? As of now, he’s in a holding pattern. If Conor McGregor ever decides to actually return to featherweight and defend his title, a unification bout with interim champ Aldo is in order. And if McGregor were to win in this scenario, there’s still no guarantee he doesn’t go chase after another money fight outside the division, meaning Edgar’s not necessarily next in line after Aldo.